When San Francisco-based US fashion retailer The Gap launched its “City T-shirt” series, it probably had high hopes that the China edition would please a vast consumer base across China. Attention did indeed come quickly, but not necessarily the kind that The Gap was hoping for. Within hours, Chinese social media users had posted photos of the T-shirt on the Chinese Weibo platform. The Gap, so user comments about the T-Shirt, was either just another ignorant foreign company or it was trying to make a political statement. The offending T-shirt depicted a map of the People’s Republic of China (PRC) without including Taiwan, the island that Beijing claims as an integral part of the country, but which has been self-ruled for decades. The T-shirts also failed to show “Southern Tibet” — a territory the PRC claims in the Northeast of India. The Gap was quick to react: “We sincerely apologize for this unintentional error,” said the company, that it respected China’s sovereignty and territorial integrity, and that it intended to strictly follow the country’s laws and rules. The Gap also promised to carry out “more rigorous reviews” to prevent similar incidents in the future. China acknowledged the apology and a spokesperson of Beijing’s Foreign Ministry announced that it “will follow carefully their actions and remarks.” Interestingly enough, The Gap was only the latest company to apologize to the PRC for ignoring its territorial claims. In 2017, German carmaker Audi had to issue an apology for using a map that omitted Taiwan and parts of western China at its annual meeting, and fashion brand Zara also drew Beijing’s ire and apologized for listing Taiwan and Tibet as countries on its website. In January 2018, Chinese authorities even blocked hotel chain Marriott’s websites and apps for several days after the company listed Tibet, Hong Kong, Macau and Taiwan as separate countries. Having more than 600 properties across Asia, Marriott was quick to apologize. Then, in February, German Mercedes Benz had to issue a similar apology for using a quote by the Dalaim Lama – spiritual leader of Tibet to some, but separatist to the PRC – in a social media post. 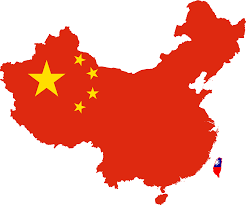 And in April, China’s Civil Aviation Authority issued a letter to three dozen foreign airlines demanding they stop referring to Taiwan, Hong Kong, and Macau as sovereign territories. In May, the US White House issued a statement calling the Chinese practice “Orwellian nonsense and part of a growing trend by the Chinese Communist Party to impose its political views on American citizens and private companies.” While that may be a valid statement from a political vantage point, foreign companies also need to be pragmatic. Any company that is serious about doing business in countries where government or religion hold and enforce strong positions, has no choice but to understand these positions and then comply. Or, of course, to make a statement and stay away. This event illustrates the rigor that companies need to maintain, not just while they figure out how to enter a foreign country but rather, in overall “foreign” matters. When it comes to China, we know that other companies have faced similar issues such as Marriott and Zara which also had to issue apologies. What I find most interesting and challenging is that on the one hand rigor is needed in following the “playbook” (corporate, product readiness, target market selection and market entry choice.. and then execution) and on the other agility is needed as much. How to balance those two remains a “crooked” line to walk, we all hear about being responsive to customer, yet few people want to talk about the “checks-and-balances”. As a professional experience, I was part of Nokia when Microsoft acquired it. I recall a few similar examples, first, Microsoft showed a map in an “all-hands-event” welcoming Nokia employees that showed Helsinki (Finland’s capital and Nokia’s headquarters) in the wrong spot in Europe’s map. I must admit that sometimes the speed that the business requires us all to engage in, does not allow for much room to fine-tune, or reviews. What is the minimum then? Who wants to be the bottleneck in a launch? Also, I was lucky enough to see Steve Ballmer in Nokia Headquarters in person as well. Ballmer, we all know, has his own style, where he is “loud”, gesticulates more than one can possible imagine and is quite simply the opposite from the more stoic Finnish style. Could he have adjusted his own style? Customize if you will to allow for a more “harmonious” entry to Finland? Was he aware? More importantly, are we aware? It keeps surprising me how large corporations still don’t get the basics right when it comes to cultural and political awareness in foreign markets. With the quite obvious sensitivity – especially in Far East Asia – to territorial integrity, one would think that companies learned their lesson by now. While many corporations certainly improved in their preparation market entries, it seems that local input is still not valued or at least not considered enough. Furthermore, in my personal opinion, companies still underestimate the political component of markets. Whereas companies usually know their home markets and manage to maintain political neutrality rather easily this proves much more difficult in foreign markets. Consequently, in addition to reviewing their corporate and their product readiness with regard to internationalization, companies may also review the political sensitivity of their chosen target markets and react accordingly. In order to avoid at least the ‘most obvious’ blunders, particular products or product groups with features that may touch such sensitive political may undergo an additional internal approval procedure (considering advice of local employees/experts) to ensure their fit to a specific market. In addition to this maybe the best advice is to cultivate an essential trait when entering foreign markets: humility.